Should You Upgrade Your HVAC System? Let’s face it. The economy is a downer, Chicago housing is a bust and people either don’t have money or are packing it away for the uncertain future. Homeowners used to use the wealth generated by their home to make home improvements or move entirely. Right now, for most of the middle class, this just isn’t possible. With the housing market about the weakest it has ever been and fewer people moving due to the economy and recession, what is the most advantageous area to improve in your home? Viking Heating and Cooling recommends you update your HVAC appliances or your HVAC system. Shocking that a HVAC company is recommending upgrading your HVAC units right? Hear us out for a minute. If your furnace or air conditioner is a bit old and you have the cash to do so, why wouldn’t you replace it? Chances are you won’t be moving for a while. The new air conditioners and furnaces on the market can help reduce your energy bills because of how efficient they have become over the years. Not only that but you won’t have to worry about purchasing another HVAC unit for at least 20 years from now. If you are planning on selling your home in the future, wouldn’t it be nice to tell prospective buyers you have a new high efficiency furnace and air conditioner already in place for them? The new units will save you money in the short term by lowering your monthly bills but could also up the re-sale value of your home in the longer term. The current state of the economy has homeowners stashing cash away and staying in their current home which makes this a perfect time to upgrade your HVAC units. Upgrading to a high efficiency furnace and air conditioner will help you save in the future in regards to lower energy bills and the ROI in the re-sale of your home. Give us a call today and we can drop by with a Free Estimate! Just as we did in the summer, Viking Heating and Cooling is opening up the Fall season with a discount. As calls begin to flood in for yearly furnace maintenance checks, we decided to extend this great benefit to all Chicagoland homeowners. The furnace maintenance check is typically $125 but we are offering the Chicago furnace tune-up for $90. This is a $35 discount on a must have service for the winter! There are several Chicago HVAC companies which will also be offering discounts on furnace tune ups which may be cheaper than what Viking Heating and Cooling is offering. You may find these discounts online, in the mail or in newspapers proclaiming cheaper furnace maintenance and may jump at the chance to go with these other companies. If you are a regular to our blog you will know how we feel about these companies and discounts. Make sure you check out the company as we previously wrote in our blog. Do your research and call several companies in order to get the right one. Consider the quality of service, friendliness of the technician and look for reviews. Companies will undercut our pricing in order to get you on the phone. Once they have you on the phone they know they will be in your home and then the sales pitch begins. The odds of you having a major issue with your furnace when these other companies perform your tune up increase dramatically. Most of these companies are only scamming you into purchasing another unit so they can force you into buying something you don’t really need. Our Twitter and Facebook accounts are full of newspaper examples we pulled from other companies. Go check them out…we will wait here. Back already? Viking Heating and Cooling is building our business from the ground up and relying mostly on word of mouth advertising to do so. Brett, the owner, will be the one who arrives on almost every call to do an estimate as well as complete the work. If you are looking for an honest, reliable Chicago furnace tune up call us. We guarantee 100% homeowner satisfaction and have a 1 year warranty on parts and labor! You may hear a small rattle or shaking which begins in your basement. You try to ignore it for a few weeks until it begins to pick up and get louder. The rattle then turns into what sounds like a freight train running through your basement each time your HVAC system goes on. Any idea what’s causing the horrible noise? The most likely scenario is your blower motor. Whether your air conditioner or furnace is on, your blower motor is always working, always in action. The fan circulates air in the through the duct work in your house and even the slightest disturbance in its function could result in a massive system failure. This year, several of the Chicagoland homeowners who needed a new blower motor had issues within their duct work. Our technicians have found several unbalanced motors due to debris getting caught in the blower compartment. Anything from plastic, paper and food have been found in the blower motor causing major problems to the expensive blower motor. 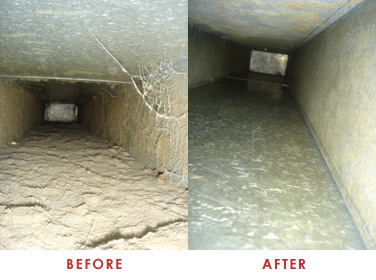 The importance keeping your air ducts clean cannot be overstated. The ducts in your house flow to each room in your home to distribute warm or cool air and return unconditioned air back to your HVAC system. Any debris in your home can then become lodged in your duct work and over time, can clog your HVAC system and gain access to your blower motor. Our professional Chicago air duct cleaning technicians can repair and clean your air ducts leaving them like new and debris free. Call Viking Heating and Cooling for a free estimate! Everyone knows Chicago weather can be unpredictable at best. One day it’s 90 and sunny and the next day it’s in the upper 50’s and rainy, and that’s in the summer. Fall is now upon us and winter is right around the corner which means bitter cold, wind and lots of snow. What a better way to spend those chilly evenings than inside your own home watching a movie, right? Well, the changing of seasons means you have to go from using your air conditioner to using your heater. Are you prepared? Better yet, is your furnace prepared? Viking Heating and Cooling has begun scheduling our yearly Chicago furnace tune ups so you should act now to schedule an appointment! It is important to act fast and call when the seasons begin to change rather than waiting for the first real cold day of winter. Many homeowners who call and schedule a Chicago furnace cleaning early can usually pick their date and time and have us out whenever they are free. Once the temperatures drop and winter closely approaches the rush to make sure your furnace is in tip-top shape occurs. Some of the rush is for furnace cleanings while others are for more serious problems, like a new furnace. These issues take longer to resolve and thus back up our technicians time-wise. With temperatures dropping faster than people expected, sometimes you need your heater sooner rather than later as well. It isn’t smart to assume your heater will immediately start once the temperature turns cold for the first time. When you start your furnace for the first time once the weather hits the 50’s you aren’t looking for lukewarm air, you want heat. Being proactive now will alleviate this problem and have your furnace working properly. Call Viking Heating and Cooling today to schedule your annual Chicago furnace cleaning. It is wise to change your furnace filter and air conditioning filter at leas t every 3 months. Ideally, you should be changing your filter every month and never waiting more than 3 months to change your furnace filter. 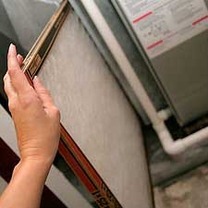 One of the most effective ways to enhance the quality of air in your home is to change your furnace filter. The filter captures airborne particles such as pollen, mold spores, pet dander and viruses. There are many other problems caused by dirty air filters like allergies, asthma and the dreaded itchy face. Most of these aren’t serious problems but an annoyance which can be easily prevented. Make sure you check your air filter on a monthly basis to ensure it is still clean. If you hold the filter up to a light and can’t see through it, time to get a new filter. If dust and dirt fall out of the filter the moment you pick it up, time to get a new filter. The next time your Viking Heating and Cooling technician is out to perform a Chicago furnace tune up or AC tune up, ask him to show you how to install your air filter if you are unsure how. You can also ask about any filter options you have in order to get more out of your filter than you expected. Chicago air duct cleaning is often one of those home maintenance items which is often overlooked by homeowners who are busy with other more glamorous seasonal tasks. During the warm summer months like the ones we just felt and the cold winter months, most homes are closed up tight and the HVAC system is working overtime. The result is often an optimal breeding ground for indoor air pollution. During spring and fall when the weather is more mild homeowners typically have their doors and windows open. All of the airflow into the home keeps fresh air moving and indoor air quality healthy. When the weather begins to get more extreme, homeowners close the doors and windows and prevent good, clean airflow throughout the home. This causes dust and debris to settle deep in your air duct system. These tiny molecules of dirt, dust, mold, pollen and animal dander are then constantly re-circulated in your home each time your HVAC unit turns on. This is a breeding ground for fungi, germs and mold. Fall and spring are perfect times to get your air duct cleaned although no time is a bad time. Homeowners may need an HVAC system inspection and cleaning as well. Multiple components of the HVAC system besides the ductwork can catch contaminants and contribute to a reduced level of indoor air quality. If a homeowner can see dust or dirt in the ductwork, air duct cleaning is advised. Be sure to use a trusted company with plenty of referrals and reviews. You can check ours on our Yelp or Google Places pages. An air duct cleaning which is not done properly can actually cause more harm than good in the long run. If your HVAC system has not been cleaned in the past 2 years, it should be done soon. Clean indoor air provides a healthier home and promotes a healthier environment so your family doesn’t have to deal with nagging dry, musty air, itchy eyes or constant headaches. Many people requested the help of a Chicago air condition repair company during this long hot summer. 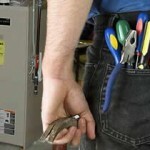 As summer turns to fall and then winter, more people will inevitably turn to Chicago furnace repair companies as well. Before you attempt to hire a company to make repairs you should take the time to check the companies out carefully. Impulsively hiring an HVAC company can turn disastrous and end up costing you more money and time in the long run. The Better Business Bureau had several thousand complaints related to heating and air conditioning companies alone last year. Some of the most common mistakes homeowners make when searching for an HVAC company are hiring the first company they find online or in the Yellow Pages, not doing proper research and not getting all of the repair work detail in writing. Research the Company – Get as much information as possible on the background of the company and its licensing. Visit the BBB website, www.bbb.org, for their Business Review to learn more about the company’s reputation and complaint history. Ask about licenses and visit the company’s own website if they have one, as most companies will. Shop Around – Get at least 3 estimates for any repair or replacement work. Make sure to get a written big which provides an exact description of the work being performed and the parts used. NEVER accept a verbal estimate. Check the Warranty – Read the company’s warranties and be sure to understand the terms and conditions of the contract. Ask questions if you have any. Check the Energy Consumption – Many new air conditioning and furnace units are manufactured to be significantly more energy efficient than others. Homeowners of new, energy efficient units may still be eligible for tax credits. Make sure to get the paperwork needed to declare those savings. In most cases, a homeowner will respond to an ad for a free or cheap inspection. During the visit, the technician will attempt to scare the homeowner into needless costly repairs or pressure them into purchasing a new unit. Other technicians may disable the unit in order to push a sale further. Viking Heating and Cooling may be new on the scene but we take our reputation very seriously. If it wasn’t for homeowners, we wouldn’t have a job to do. We are working from the ground up, basically on word of mouth and social media marketing. The owner, Brett, personally meets with every homeowner he can prior to taking the job and always gives written estimates. You can also view our Testimonial page, Google Places or Yelp page for helpful reviews. We stumbled upon a cool new HVAC unit the other day. 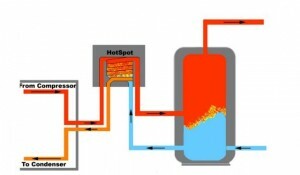 It is called the Air Conditioner Water Heater and is provided by Hotspot Energy. Now storing heat is not something you normally think of when you turn your AC unit on but that is exactly what this unit does. The ACWH works by having a condenser unit which sits outside collecting heat the air conditioner compresses and releases outside. 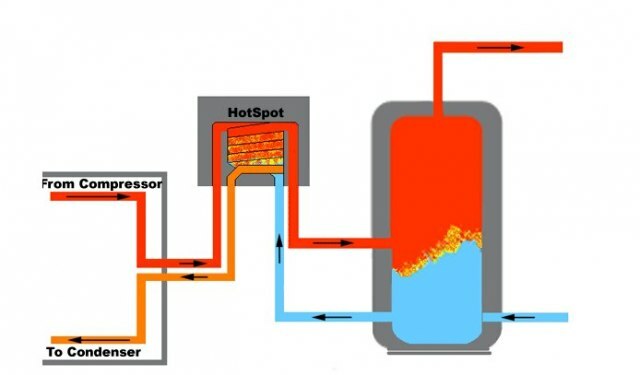 Heat then passes through a heat exchanger connected to the water tank. The process of heating water while cooling your home can help save you energy and money because the heat recovery process eases the load of your AC unit. Using the ACWH on a mild day won’t reduce your water heating costs much but at its peak, the unit can provide 18,000 BTU’s of cooling using 1333 watts/hr. The ACWH is ideal for homeowners living in the south or if you run your AC unit most of the year. It can heat 100 gallons of water per day, has a 18 SEER rating, LCD display, sleep mode, auto restart and digital timer. HotSpot energy claims it can save a homeowner about $1,800 per year. Although the Air Conditioner Water Heater is probably not suitable for homeowners in the area it is good to know these products exist and that the HVAC industry is embracing technology and going green. If you’re planning to retire down south, this little number may be a realistic unit for your future! When our technicians are out in the field going from home to home they get asked a lot of questions about air conditioners, furnaces, water heaters and air ducts. One of the most common questions we have been hearing lately is about SEER. This post will clarify what SEER is and what it means for your family. Starting in 1979 the Department of Energy wanted to give homeowners and HVAC professionals a rating system for air condition units. The rating system is the SEER you see on your air conditioner and refers to the efficiency of the unit. The Seasonal Energy Efficiency Ratio (SEER) relays how well your air conditioner converts electricity to cool power based on the cost of electricity. To calculate the SEER, take the output of BTU’s during a cooling season calculated by dividing the total electric energy input in watt-hours during the same period. Did we lose you yet? No worries, the SEER is also marked on the AC unit or you can also call the manufacturer. Just remember, the higher the SEER rating the more efficient your AC is apt to be. This is because the more efficient your air condition unit is the less energy it uses to cool your home. We say the higher the SEER rating the more apt it is to be more efficient but this might not always be the case. The SEER rating is the overall performance the air conditioning unit can achieve if everything is running at its optimal performance. If there you haven’t had your unit charged and tuned up or if there isn’t enough Freon or refrigerant charge in the air conditioner, you will not be getting the optimal SEER rating out of your unit. Be sure to get seasonal air condition tune ups to be sure your getting the most out of your AC unit. SEER is not only energy efficient and nice to talk about but it means savings for homeowners like you. The more cooling/heating a system releases for each unit of energy it consumes, the higher rating it will receive. The higher the efficiency rating, the less energy it consumes which means lower utility bills and less of an impact on the environment. So you’re saving money and the world all at once! Now this is all nice and good but how much are you really saving? A SEER 9 AC unit compared to a unit with a SEER 13 is about 30% more efficient. The calculation is (9/13=.69), then (1-.69=.3) This is a savings of about $300 per year or $4,500 over a 15 year life of your AC unit! Not sure what your SEER rating is? 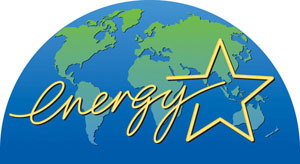 As of January 2006 all of the air conditioner units sold in the U.S. must have a SEER rating of at least 13. It is rare to see any below 9 as of now but some window units have ratings of about 10. If you’re not sure what SEER rating you have and really want to know, call the manufacturer and they should be able to tell you. If you need a new AC, give us a call and we will give you our best price on a new unit. Hopefully this clears up all the questions about SEER ratings. Drop us a line if you have any other questions and we will be sure to respond. Til next time….. Recently the Department of Energy established regional standards for air conditioners and furnaces and tightened national standards for heat pumps in order to increase homeowner energy efficiency across the nation. These energy efficiency standards on AC units, furnaces and heat pumps are a huge boost to consumers because they should save homeowners billions of dollars in energy costs. As somewhat of a shock, the standards are backed by all three of the HVAC industry, consumer advocates and environmental groups. Put together, these groups are notorious for disagreements and bickering to the point where there are very few standards passed in the industry. When the new standards take effect, a new air conditioner in the South will use about 40% less energy and a new furnace in the North will use about 20% less energy than before the standards were set. The standards will also reduce the peak electric demand by decreasing cooling energy use on summer days thus reducing demand on the grid and the amount of emissions from power plants. The Department of Energy believes the air condition and heat pump standards will save 156 billion kilowatt hours over 30 years with a cost savings of $4.2 billion and the new furnace standards will save 31 billion therms with a cost savings of $14.5 billion! This is definitely great news for the HVAC industry and for consumers. There is a direct benefit to cost savings, energy efficiency and environmental responsibility and is a standard we firmly support. Let us know what you think about the new standards.